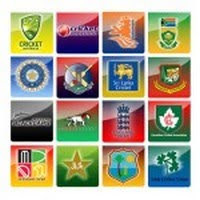 The 2011 Cricket World Cup taking place from February 21 to April 2 in India, Sri Lanka & Bangladesh announced the tournament schedule at a ceremony in London this week. Dhaka in Bangladesh will host the opening ceremony and the first game between the Bangladeshis and Indians on February 21, 2011. Mumbai in India will host the Final on April 2. Sri Lanka and Bangladesh have absorbed the majority of the games Pakistan were to have hosted, after the country lost co-hosting rights for the tournament in the wake of terrorist attacks during a Test Match against Sri Lanka earlier this year. Sri Lanka - 12 Games. This edition of the tournament sees the abandonment of the confusing 'Super Sixes' stage of the World Cup and instead there are two groups of eight nations competing for the eight quarter final spots. The top four nations from each group will advance and be seeded for the quarter final stages. Then two semi finals will determine who plays off in the World Cup Final in Mumbai. The Quarter Finals will be played at Dhaka (2 Games), Colombo (1 Game) & Ahmedabad (1 Game), while Columbo and Mohali will host the Semi Finals. But sadly the structure of the preliminary round games leaves a lot to be desired. > Pakistan who lost their hosting rights will now play all their games in Sri Lanka - so will do very little travel (whereas a lot of teams will play in all three countries). > While for some reason Sri Lanka play one of their marquee games (their last group match) against New Zealand in Mumbai. This boggles the mind. > Two Quarter Finals will be held in Dhaka yet probable qualifiers Australia, Sri Lanka, Pakistan, New Zealand and England (who play in Chittagong against Bangladesh) will not have played a game on the surface before the match. Given the tournament has been reorganised into just two groups for the preliminary stage - there are a lot more 'big countries v little countries' in the draw. This isn't so much of an issue from a spectator point of view as it is a television one. Sometimes watching a little nation take on a big one in cricketing terms is quite entertaining but if you thumb through the TV guide and see that on tonight I can choose between New Zealand v Kenya and Sri Lanka v Canada - you're not about to move heaven and earth to be in front of the box. If you look at the schedule the first week of the 2011 Cricket World Cup is an absolute dud. Bangladesh v India is the closest thing to a marquee matchup on the opening night, it is then followed by from Feb 19-23 in order: New Zealand v Kenya, Sri Lanka v Canada, Australia v Zimbabwe, England v Netherlands and then Kenya backing up again v Pakistan. That means we don't see the South Africa, West Indies or Ireland in the first week of competition and February 24 marks the first real strong contest of the tournament when South Africa take on the West Indies. So after a dull opening week we then get the first slab of key matchups with South Africa v West Indies, Australia v New Zealand, Sri Lanka v Pakistan and India v England in over just four days. This is insanity from a marketing perspective. After the India v England game on Feb 27, we have to wait until March 5 before the next big game when Sri Lanka host Australia. The very next day England play South Africa as the schedule dulls two quality games by playing them back to back. Considering how important the first week of a major international competition is when attempting to capture a fresh audience - the ICC have produced an appalling draw for the 2011 Cricket World Cup. 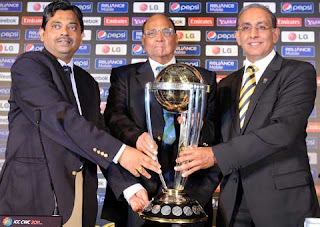 GROUP A: Australia, Pakistan, New Zealand, Sri Lanka, Zimbabwe, Canada & Kenya. GROUP B: India, South Africa, England, West Indies, Bangladesh, Ireland & Netherlands. Group A will most likely see the top four seeds advance but Bangladesh in particular cannot be dismissed as a threat in Group B. But having said all of the above, the tournament doesn't start for another 466 days... so we'll pick this point of contention back up in about a year.